The last week or so, I pretty much have been loving staying home by myself. I guess I’ve finally completely adjusted to living alone. All I’ve wanted to do this week is rush home from work to be alone. And while I’ve been alone, I’ve been reading a couple of books, “The Left Hand of Darkness” by Ursula K LeGuin and “The Lion, The Witch, and The Wardrobe” by C.S. Lewis. I’ve also been napping. Usually from falling asleep when I’m reading. I get home. Flop down on the couch, pick up the book, and half an hour later, I’m out. An hour after that, I wake up and pick up where I left off. So, there you go. Doesn’t it sound thrilling? OK, no, it totally doesn’t, but it is quite pleasant and I am enjoying myself. That actually sounds pretty nice. I know a lot of people that really freak out when they spend a night like that, but I guess that’s what happens when you try to base your life off sitcoms. To me, any time spent napping is time well spent. ursula leguin! 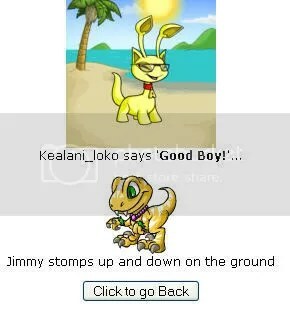 and neopets! w00t! Yes, Stef, pants are optional in Whoville!